We are very fortunate to present as part of the Art of the Networked Practice Online Symposium, a new Internet performance work, igaies, by internationally renowned Chicago glitch artist Jon Cates (US) and collaborators: Roberto Sifuentes (US), Arcángel Constantini (MX), Shawné Michaelain Holloway (US), 愛真 Janet Lin (US) & Paula Pinho Martins Nacif (UK) (XXXtraPrincess), and Aram Han Sifuentes (US). On Saturday, March 31st, Day 3 of the Symposium, the event will be staged as an installation-performance at the School of the Art Institute of Chicago (see Program for full details). The artists will be channeling a discourse and exposition on glitch that embraces collaboration, performance, ritual, and social media. For the online Symposium audience, their glitched aberrations and performative actions will be broadcast direct from the installation in Chicago across multiple streams and social media channels to invite a socially-participatory experience that unites local and remote viewers in the third space. Jon Cates and collaborators are currently developing a series of multifarious and differentiated performance works that coalesce into what Cates refers to as igaies (intimate glitches across internet errors) – small miraculous mistakes, moments of beautiful brokenness – all fused together as a single improvisatory, real-time sensory overload of noise, blood, hashtags, fetishism, sexuality, memes, and #cutestuff. Responding to hyper-mediatized, colliding images, and sensory overload of global despair to create #exsanguination, a performance where the bleeding body stands in for the displaced, invisible, and forgotten, becoming a site for activism, penance, and reinvention. 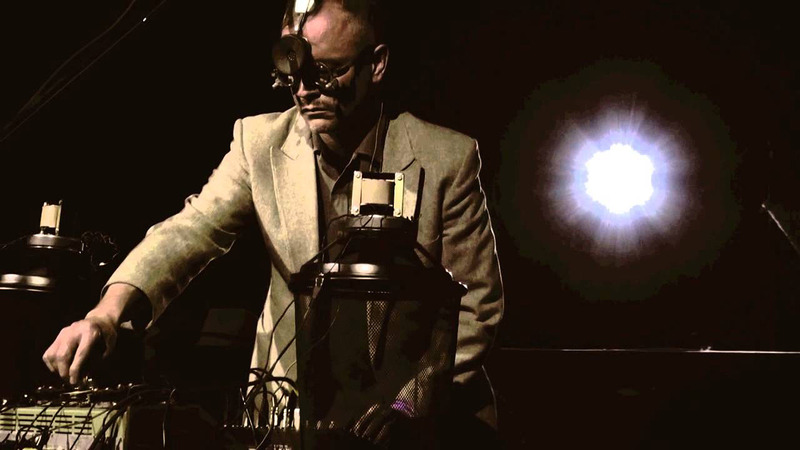 Jon Cates performs live glitching using broadcast video cameras trained on Sifuentes body while producing a noise soundscape mirroring the gestures. 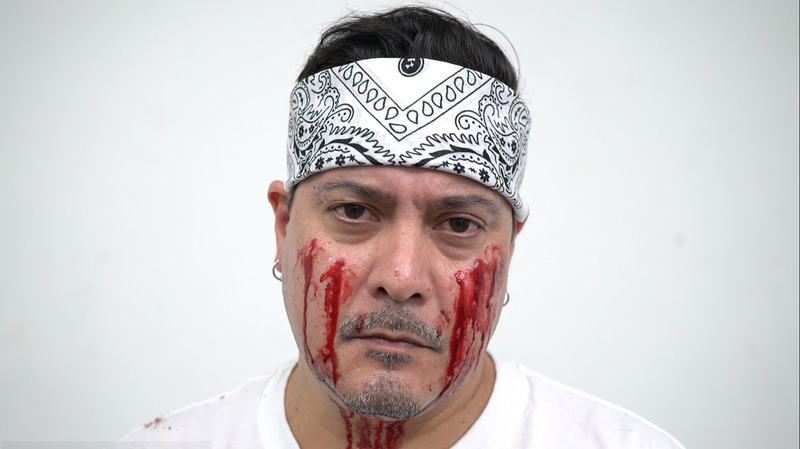 Viewer participants, local and remote, are encouraged to move in on Sifuentes’ intimate space, physically and virtually, to take selfies with the performer’s bleeding body. Arcángel Constantini is a Net artist, producer, activist, and the creator of Atari Noise, an audiovisual noise pattern generator keyboard and game of info-deconstruction. He will perform his online project, Bakteria.org, remotely from Mexico City. The work “proposes interactive interfaces that mix flashdesign, code/machine as language forms and electronic sound. The message of Bakteria.org is the narration of an alien or bacteria that lives on the planet Hearth.” (Digicult, Hacking as Art and Life). For igaies, Constantini will stream live drawings on petri dishes to produce noise soundscapes that infiltrate (perhaps infect?) the installation space in Chicago as large-scale visual projections. Performance artist SHAWNÉ MICHAELAIN HOLLOWAY is a Chicago-based new media artist using sound, video, and performance to shape the rhetorics of technology, sexuality, and Webcam culture into tools for exposing structures of power. She is an artist asking difficult and complex questions surrounding Black female power dynamics, dominance and intimacy in the modern Internet age, with provocative works such as “Extreme Submission Validated,” “Preritual Status,” and “Using Tools That Use You.” For her participation in igaies, she will conduct hashtagged online actions performed asynchronously in private spaces to be projected on multiple screens in the performance space in Chicago. They have extracted all knowledge from #WHYPpl and defeated the imperialist, capitalist, ablelist, cis-heteronormative, white supremacist patriarchy… You can be an XXXtra Princess too. All you have to do is #Feel. 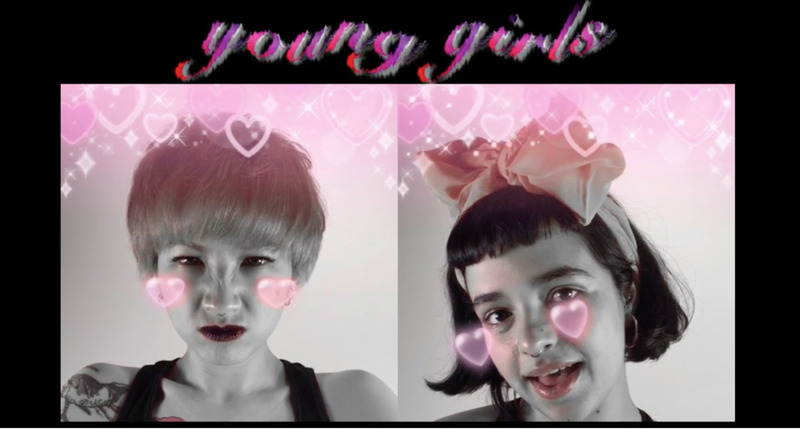 Her XXXtraPrincess collaborator Paula Pinho Martins Nacif is a Brazilian–>­Portuguese #gURL, #artist, #organizer, && #researcher living in Chicago. She “looks at her phone screen && scrolls through the Internet’s famous people, cyber-slang, selfie trends, memes && sparkly .gifs.” Together XXXtraPrincess will engage in hashtagged social media streams inviting viewers to live-tweet postings, encouraging both the local and online audience to glitch & remix the materials of the performances themselves in real-time. I want to congratulate Jon Cates for bringing this extraordinary “three-ring” glitched media spectacle to the Art of the Networked Practice Online Symposium as only, perhaps, the Chicago glitch community could. If social broadcasting is in fact an unfinished communications revolution (our Symposium theme), it appears that the “small miraculous mistakes and moments of beautiful brokenness” of igaies may very well complete the task.